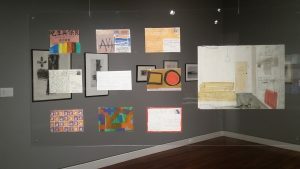 Colorado College Special Collections lent 27 postcard collages by Mary Chenoweth to the Colorado Springs Fine Arts Center this year. The postcards were donated to CC by Peggy Marshall and Mike Duffy and dated 1980s-90s. They were on display at the FAC from February 18 – May 21, 2017. The exhibition was fantastic! 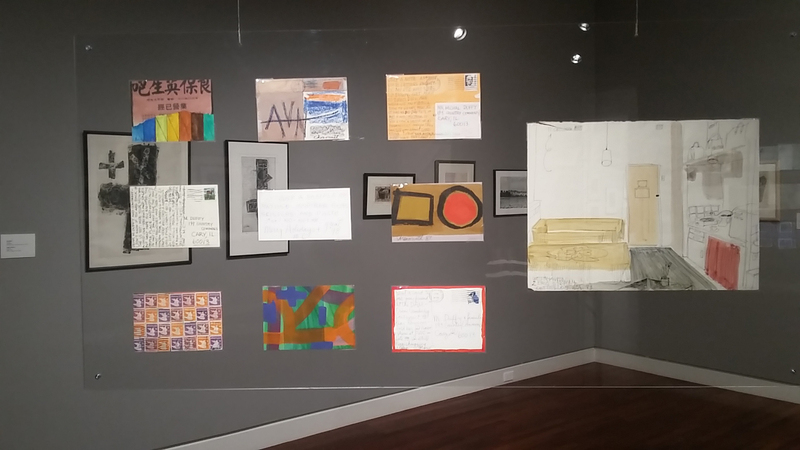 The postcards were hung from the ceiling and sandwiched inside plastic so that viewers could see both sides. This entry was posted in new attention on old item on June 5, 2017 by ccspecialcollections.